Join us on Saturday June 22nd as we embark on a memorable day-trip excursion to the beautiful Sonoma County area. This exclusive tour is limited to 30 people, so purchase your tickets now! The pick-up location is at the El Cerrito Plaza BART. You can take the BART there, or drive and leave your car there for free. The bus will be leaving at 11:30am. Our first private tasting will take place in the Barrel Room at the Mayo Family Winery. They produce small lots of single-vineyard wines under the premise that the world's most interesting and highest quality wines must come from a single-vineyard source that can be expressed in the wines' aroma, taste and texture. Miyoko Schinner, author of Artisan Vegan Cheese, will be joining us on the tour. She will be selecting the five wines (all vegan) that we will be sampling at the Mayo Family Winery to ensure the perfect pairing with the vegan cheeses. 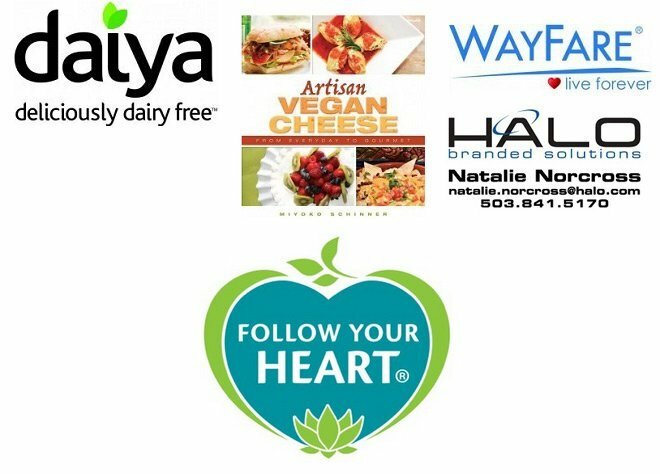 Cheeses will be provided by: Miyoko Schinner, Daiya, and Wayfare. Afterwards, we will be getting back on the bus and heading over to Envolve Winery to sample five of their organic, biodynamic, and sustainably farmed wines (all vegan). One of their wine partners will be leading the tasting and will be talking about how the wines are produced, and they will available to answer any of your questions. Jessica Holten from Sjaak's Fine Chocolates will be on-site and we will do a wine and chocolate pairing! Want avoid paying the service fees? all wines and cheeses are vegan!